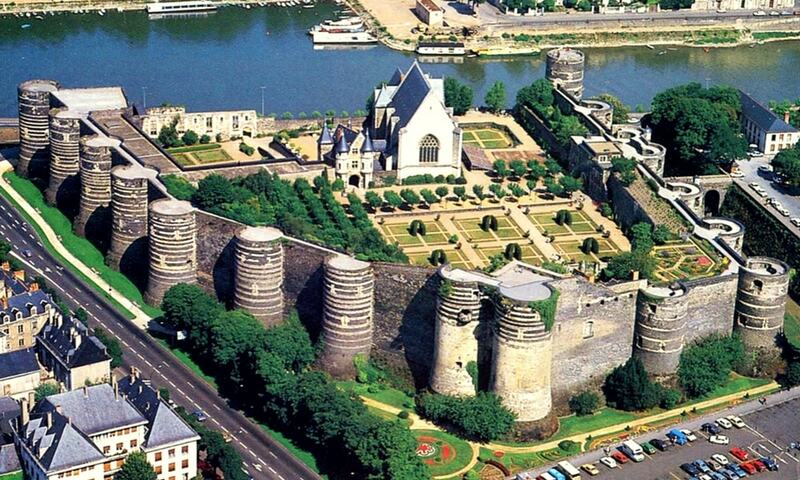 The Chateau d'Angers was founded in the 9th century by the Counts of Anjou, and it was expanded to its current size in the 13th century. It is located overhanging the river Maine. Today, owned by the City of Angers, the massive, austere castle has been converted to a museum housing the oldest and largest collection of medieval tapestries in the world, with the 14th century "Apocalypse Tapestry" as one of its priceless treasures. As a tribute to its fortitude, the castle has never been taken by any invading force in history.